Opera has launched a free VPN app for Android and iOS users, allowing them to run apps and visit sites anonymously on your mobile device with ease. And they can now bypass those annoying roadblocks to your favorite sites and apps with Opera vpn for free and unlimited. Why you may need a VPN? 4. Was your IP banned by some forum? VPN gives you the freedom to go back there and be more responsible. 5. Are you concern about your privacy or someone monitoring your location? VPN fake your location and hide all traces about your activities. 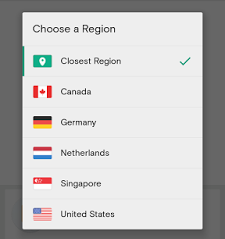 Note: Opera VPN is not a browser but a VPN that allows you to change location from five server locations: USA, Canada, Germany, Singapore and The Netherlands. All you need to do is to download and installed it on your devices, then connect and select your preferred region and Opera VPN will encrypts your local web traffic, so you can get on with your fun. This is nice. Is the PC version available?